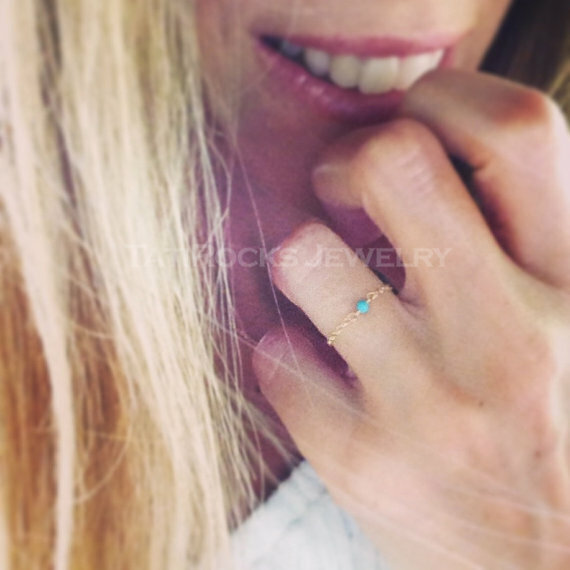 Beautiful 14k Solid Gold chain ring with a tiny genuine turquoise stone in the center. 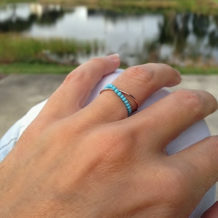 This ring is so comfortable and perfect for everyday wear…You won’t even feel it on. And best of all, it will last forever. This ring is made to order. Please leave me your ring size at checkout.